ARTICLE 19 welcomes the release on bail yesterday of detained Bangladeshi photojournalist Shahidul Alam, after more than 100 days in arbitrary detention. On 15 November 2018 the High Court in Dhaka issued the welcome decision to grant Alam bail, after he was arrested on 5 August 2018 under Section 57 of the Information and Communications Technology Act, which has repressive provisions criminalising the publication of ‘false information’. He was subject to ill treatment in custody and denied proper medical care during this time. In spite of government efforts to appeal against the decision to grant him bail, his release is a welcome step, which must be followed by the dropping of charges against him, and the urgent repeal and reform of the repressive Section 57. Alam, an award-winning photojournalist and founder of DRIK gallery, was arrested after he shared commentary and videos of road safety protests online, as well as giving an interview to Al Jazeera. The Bangladeshi government regularly targets journalists and online expression in this way, using the ICT Act to silence criticism in a number of areas. In 2017, there were 76 incidents of journalists facing charges under Section 57 of the ICT Act, and in 2018 there have been more than 90 cases brought against activists, media workers and others. Section 57 of the ICT Act criminalises a range of online expression, including spreading ‘false information’, tarnishing the image of the state and making defamatory statements online. It was amended in 2013, increasing the maximum punishment from 10 to 14 years. The Digital Security Act, which is currently awaiting Presidential approval, would repeal and replace this provision, however it would retain its damaging restrictions on expression, as well as criminalising a further range of online speech. 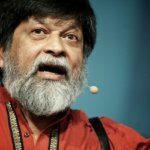 The Digital Security Act, like the ICT Act, fails to conform to Bangladesh’s international human rights obligations and will only provide a further tool for the repression of writers, activists and journalists like Shahidul Alam. It must not be passed into law without reform. In addition to this, the situation for journalists offline in Bangladesh remains serious – in 2017, there were 103 cases of assaults against journalists. During the road safety protests Alam was commenting on, at least 40 journalists and media workers suffered harassment and physical attacks. Alam himself was subject to torture and cruel, inhuman and degrading treatment in detention, without proper remedy or access to medical care. The Bangladeshi government has continued to seek to extend Alam’s detention, which represents a clear violation of his right to freedom of expression, and on 18 November filed an appeal against his bail, which is yet to be heard. The government must end its efforts to silence journalism and public debate by dropping its appeal against Alam’s bail, and dropping all charges against him under this deeply flawed legislation. Instead, the government should prioritise reform of the law to protect the right to freedom of expression in the country, in line with its international human rights obligations, and take measures to ensure a safe and enabling environment for journalists to carry out their work.